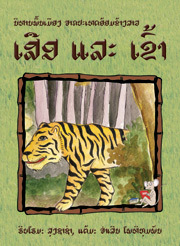 Books in Laos that make literacy fun! These books need a sponsor before we publish them. Can you help? A school class tells Why we brought a book to life in Laos. Reading should be an adventure of discovery and delight, not a chore. 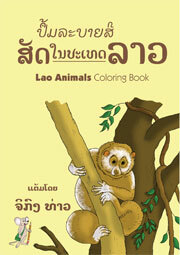 But most Lao kids never see a book they could read for pleasure. 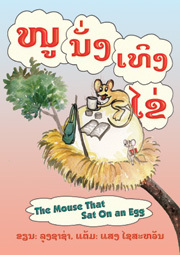 Big Brother Mouse began in 2006 by publishing fun, engaging books for children in Laos. But children aren't the only people who can enjoy and benefit from literacy. Our list is expanding to include books of interest to teenagers and adults, as well. Below you'll find all the books currently in print, and a few more books that are in preparation. Click on any book below for more information and sample pages. Some notes and explanations are at the bottom of this list. An asterisk (*) before the title indicates a newly-published book. Indented entries are a different edition of the same title. Usually the size (and price) or language is different, or one edition was abridged. Most titles are available at each location, but occasionally, a few are not. These prices are for reference, for people planning to visit a shop. At this time, we are not able to fill orders for specific titles, except for organizations within Laos with whom we have an ongoing relationship. As of 2019, $1 U.S. is about 8500 kip. A book priced at 15000 kip is about $1.80 USD. We price books as low as possible, and shops in other parts of the country that sell our books will often have to increase prices slightly, to cover their additional expenses.